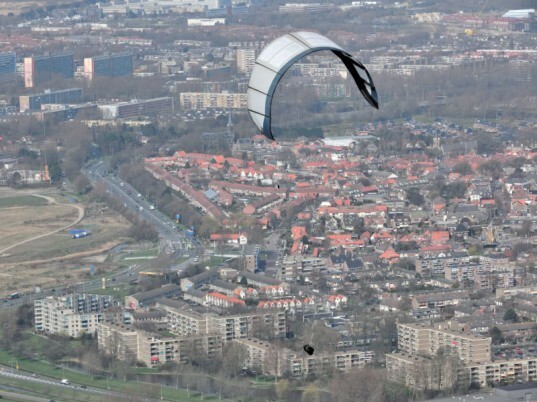 In the Netherlands, scientists from the aerospace engineering department of the Technology University in Delft are testing the ability of giant kites to harvest energy from high speed, high altitude winds that wind turbines can’t reach. They say that just a single one of these 25-square-meter kites is capable of generating enough energy to power 40, with less environmental impact than a wind turbine and for lower out of pocket cost to consumers. Humans have used kites and other sail-like technologies to harness wind power for centuries. Only rather recently, during the reign of fossil fuels, have we relegated kites and sails to the realms of toys and niche curiosities. 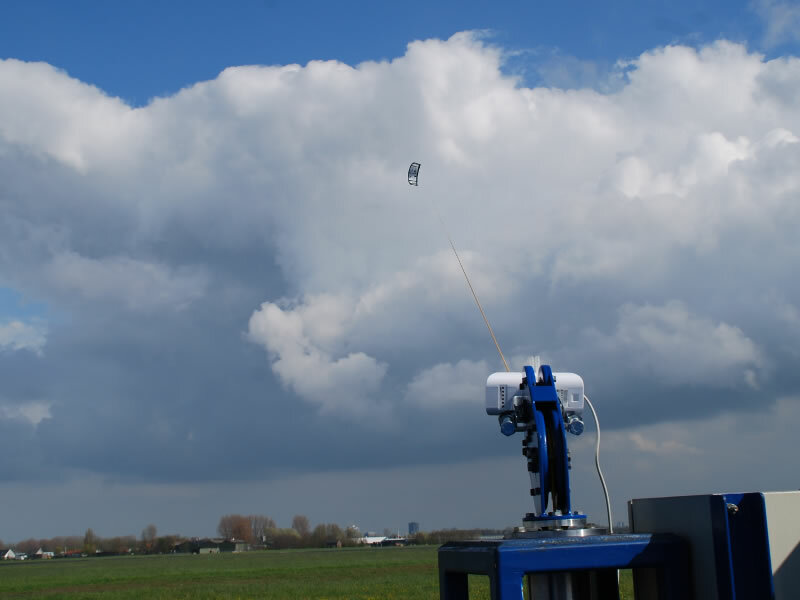 Now, as the age of oil and coal draws to an end, researchers are once again examining the simple concept of a kite in an effort to expand wind power generation capabilities. To test his theory, which builds on research started in 1998, Schmehl and his team have developed a single inflatable membrane wing which is tethered to a cable drum/generator module on the ground. It looks a lot like something you might see while parasailing or kite surfing, and it works in a similar fashion. For normal wind turbines, which top out at about 200-300 meters, this high velocity wind is completely out of reach, wasting their true potential for reliable power generation. The constant tugging of the kite against its tether creates a pumping motion, similar to a piston in a car’s engine. The action produces mechanical energy which can then be sent into the grid or stored in a battery. 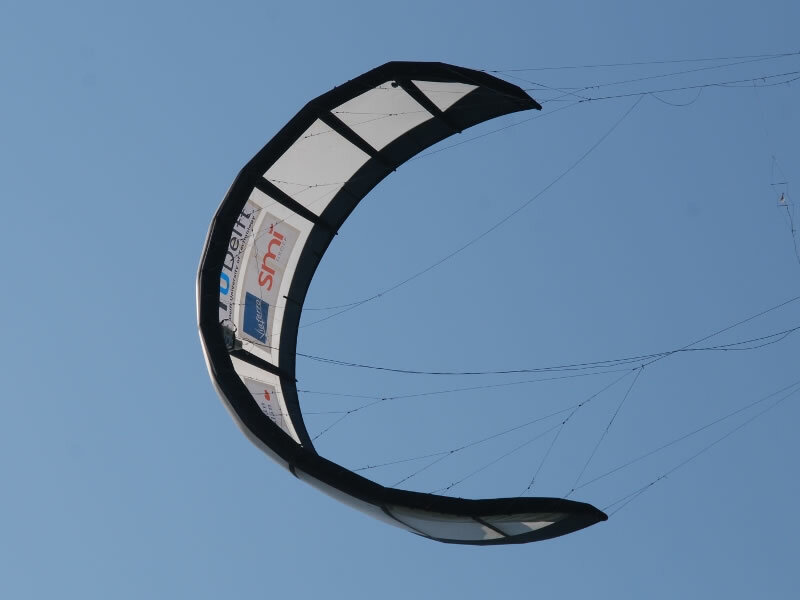 Although Schmehl estimates that a powerful kite system could eventually cost as a little as a compact car, investors have been slow to back the promising idea. But as we reported recently, Google is already working on its own top-secret kite power technology, so perhaps it will see the light of day sooner than we think. In the Netherlands, scientists from the aerospace engineering department of the Technology University in Delft are testing the ability of giant kites to harvest energy from high speed, high altitude winds that wind turbines can't reach. They say that just a single one of these 25-square-meter kites is capable of generating enough energy to power 40, with less environmental impact than a wind turbine and for lower out of pocket cost to consumers.